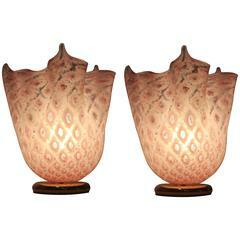 Beautiful and very rare large pair of VeArt Murano table lamps, manufactured in Italy in 1970s. In perfect vintage condition. Beautiful and rare large French table lamp manufactured in 1970s. In brush aluminum and chrome with its triple black lampshade. In perfect vintage condition. 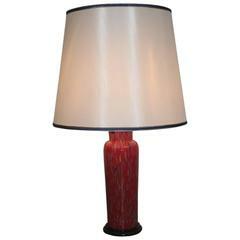 Beautiful and rare black and burgundy lacquered brass table lamp manufactured in Italy in 1970s. The lampshade is not included. Beautiful and rare large Lucite and brass table lamp manufactured in Italy in 1970. In perfect vintage condition. Elegant VeArt Murano art glass table lamp, 1970s. Toni Zuccheri by VeArt Scorzè-Venice, Italy 1970s Smoked Murano glass Steel details. Excellent condiction Glass perfect. Measures: H 35 cm. Pair of Lumi 1970s Murano art glass Italian design VeArt, brass base, glass dome handkerchief with murrine White VeArt production. 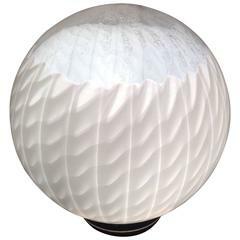 Toni Zuccheri by VeArt Murano glass 1970s Italian design of table lamp. 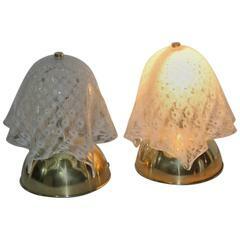 Pair of handkerchief lamps Murano, 1970 VeArt, brass and Murano art glass. Pink color murrina glass. 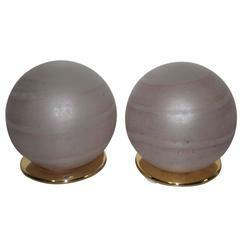 Pink Round Pair of Table Lamps VeArt 1970s Murano Glass Brass Base. 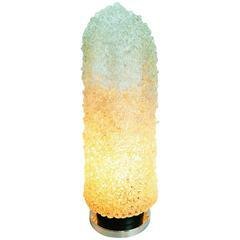 Table lamp VeArt art glass Italian design Murano art, 1970s. 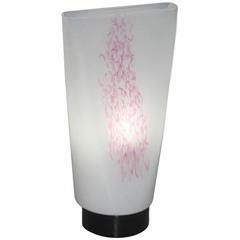 Beautiful Murano table lamp by VeArt. Signed with an original label. Beautiful ribbon or lattice design highlighted with bubbles. Base is chrome.